Want To Cover Up a Tattoo that Your Really Not Happy With? It's common to get a tattoo that may have not been thought out. Its also common to have a tattoo that has really faded or that does not really reflect what you would like your body art to look like. In fact, many people that come into the shop for a cover up tattoos say they have LIVED with a tattoo that they didn't like for years. 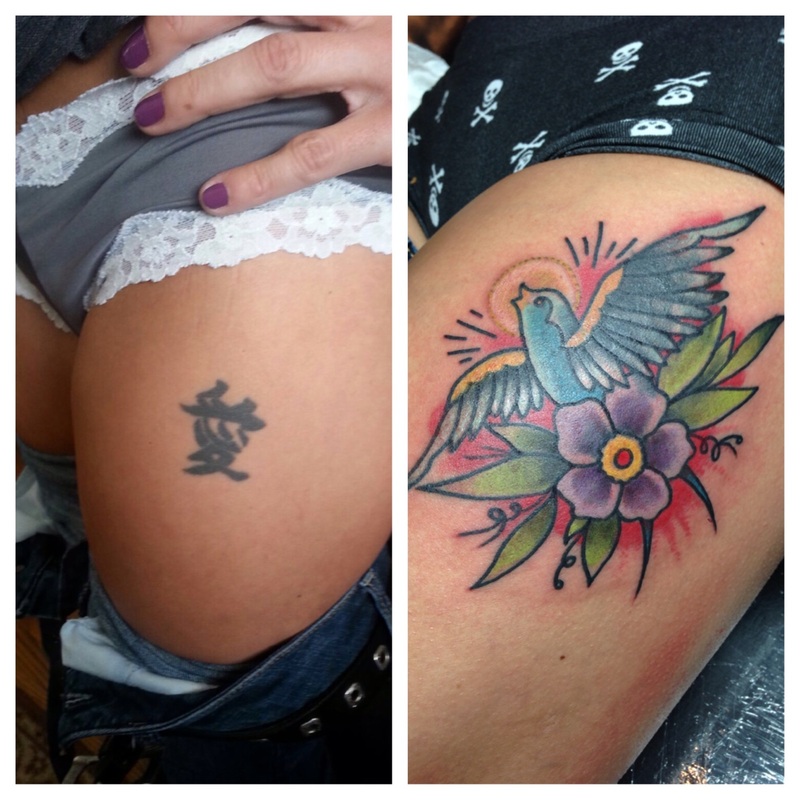 Getting a cover up tattoo is much more complex as it involves taking an existing tattoo shapes, design and color and transforming it into a New, Unique and complimentary tattoo that gets double takes! Therefore, you will want a tattoo cover up specialist working on your body art project! 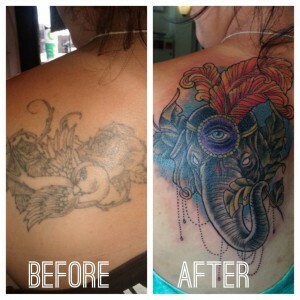 At Royal Flesh we have artist that specialize in cover up tattoo ideas and application. 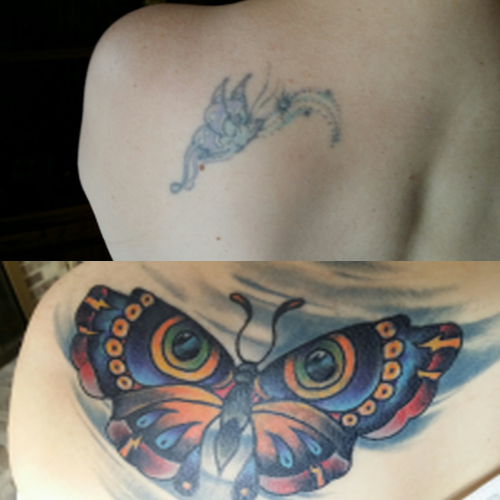 Royal Flesh has Tattoo Cover Up Artist Ready to Help You Transform that Unwanted Tattoo into Something You Want Others to See! Royal Flesh have tattoo cover up specialists! We also make it super simple to take your idea and mesh it with your current tattoo to be covered. Start your cover up project today by calling us today (773)975-9753 please ask for a tattoo cover up specialist when calling. 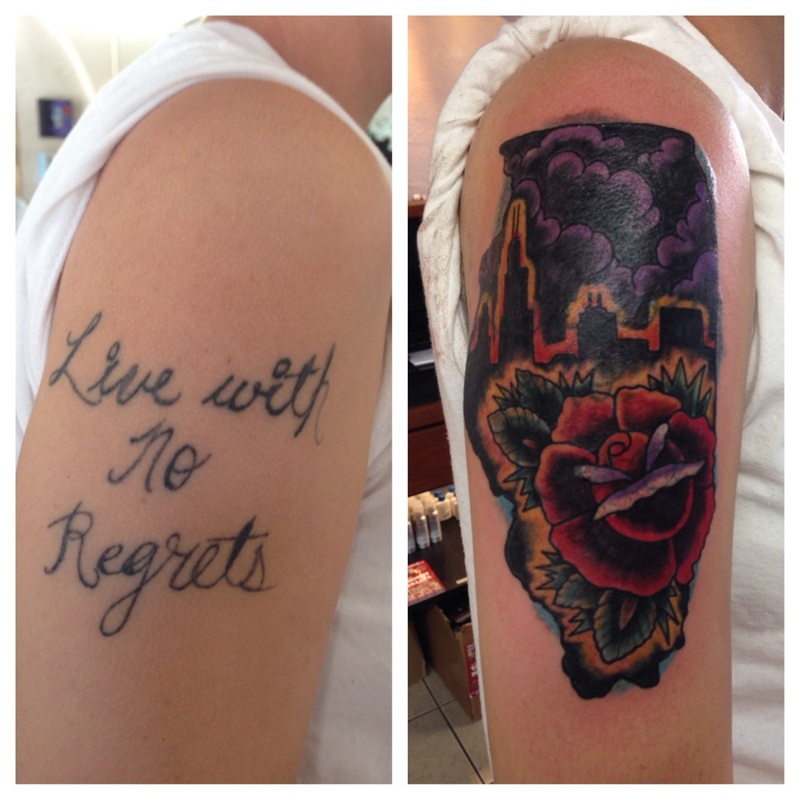 Here are some more Cover up tattoos by Royal Flesh..
Royal Flesh is the place to get a cover up done!